Our approach is to deliver safe yet exhilarating scenarios to our customers, offering them challenging and fun objectives. Equally our main objective of the day or evening is to keep you in the field, fighting. 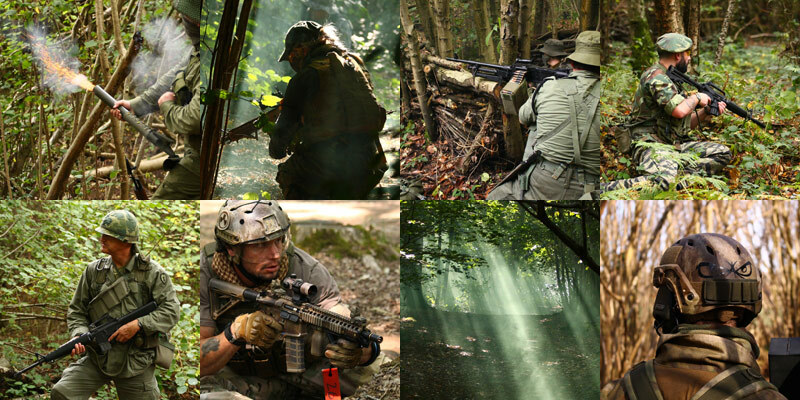 Worthing Airsoft is a woodland game site that is 45 acres, with a selection of fox holes, trenches, bunkers and thick woodland to wage all out war in. We are very flexible here, players can decide the style of play, the game rules or even have a go at leading their own themed day. We offer a full woodland day, comprising of well constructed games and a friendly locals. Site photography by Liam Funnel, Paul Jeffries and Dale Robins.